BUFFALO, N.Y. (WKBW) — Picture this: it's almost time for your vacation. You made plans well in advance, you show up with your swimsuit-filled luggage, only to find out your flight's delayed. And you may not catch your connecting flight. Southwest airlines doesn't want you to go through that. The airline's president, Tom Nealon, is letting customers know that it has modified schedules to avoid last-minute delays or cancellations. The move comes several weeks after Southwest removed all Boeing 737 MAX 8 aircraft from its fleet, following the crash of two MAX 8 airplanes in recent months. "I think it's great that the company and CEO are committed to putting the public at ease," said Josh Smith, who was flying to Minneapolis on Friday. Smith works in film, which means he travels a lot. And he said he usually flies with Southwest. It's not yet clear when the MAX 8's will be back in service. But Smith said travelers shouldn't worry too much. "Their plans should not be swayed by is this a 737? A 787? Is this a window seat, an isle seat? You're going to get to where you're going," he said. Southwest airlines has more than 750 Boeing 737 in its fleet Now 34 of those are MAX 8. They've been grounded since March in compliance with the FAA's requirements. Nealon said the airline is "proactively" notifying customers who already booked their flights, and will be affected by the new schedule. · Southwest is allowing customers previously booked on canceled MAX 8 flights to re-book on alternative flights without any additional fees or fares within 14 days of original date of travel. · American Airlines has proactively canceled flights into the month of June. United has also canceled numerous flights. · Travelers who have purchased travel insurance should consult their policy for coverage details. · Travelers who booked independently should frequently check their reservations online. 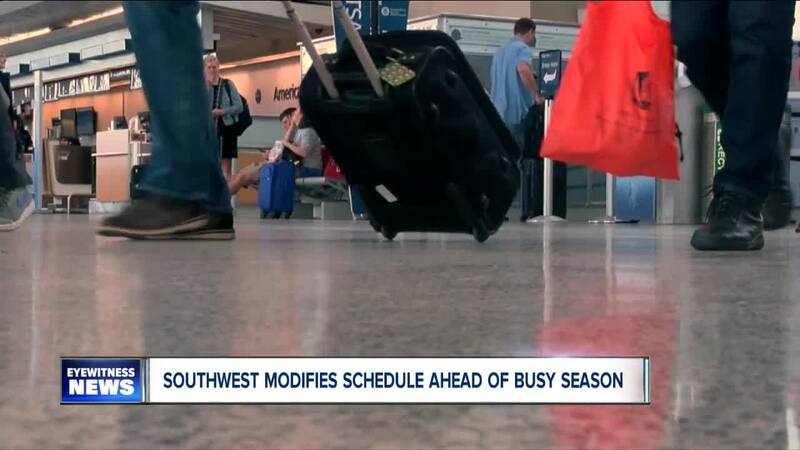 · Most airlines will send emails regarding schedule changes. Travelers should check their emails and be aware of changes. · Travelers should make sure that their airline has their current contact information and email addresses and be proactive in communication.